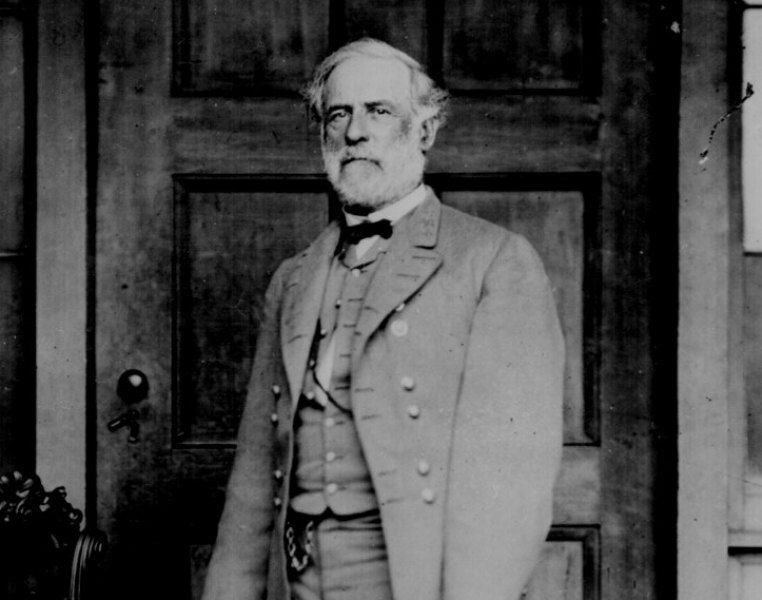 Robert E. Lee was born at Stratford Plantation, VA on January 19, 1807. The youngest son of noted Revolutionary War commander Henry "Light-Horse Harry" Lee and Anna Hill, Lee grew up as a member of the Virginia gentry. Following the death of his father in 1818, the plantation passed to Henry Lee IV and Robert and his immediate family moved to Alexandria, VA. While there, he was educated at the Alexandria Academy and quickly proved to be a highly gifted student. As a result, he applied to the US Military Academy at West Point and was accepted in 1825. Impressing his instructors, Lee became the first cadet to reach the rank of sergeant by the end of his first year, as well as excelled in tactics and artillery. Graduating second in the class of 1829, Lee earned the distinction of having no demerits on his record. Commissioned as a brevet second lieutenant in the Corps of Engineers, Lee was dispatched to Fort Pulaski in Georgia. In 1831, he was ordered to Fortress Monroe on the Virginia Peninsula. Arriving there, he was instrumental in the completion of the fortifications as well as those of nearby Fort Calhoun. While at Fortress Monroe, Lee married childhood friend Mary Anna Randolph Custis on June 30, 1831. The great-granddaughter of Martha Custis Washington, she would have seven children with Lee. With work in Virginia complete, Lee served in a variety of peacetime engineering assignments in Washington, Missouri, and Iowa. In 1842, Lee, now a captain, was assigned as post engineer to Fort Hamilton in New York City. With the outbreak of the Mexican-American War in May 1846, Lee was ordered south. Arriving at San Antonio on September 21, Lee aided General Zachary Taylor's advance through scouting and bridge construction. In January 1847, Lee departed northeastern Mexico and joined the staff of General Winfield Scott. That March, he aided in the successful Siege of Veracruz and took part in Scott's advance on Mexico City. One of Scott's most trusted scouts, Lee played a critical role at the Battle of Cerro Gordo on April 18 when he discovered a trail that allowed American forces to attack Mexican army's flank. During the campaign, Lee saw action at Contreras, Churubusco, and Chapultepec. For his service in Mexico, Lee received brevet promotions to lieutenant colonel and colonel. With the war's conclusion in early 1848, Lee was posted to oversee the construction of Fort Carroll in Baltimore. After three years in Maryland, he was appointed the superintendent of West Point. Serving a three-year term, Lee worked to modernize the academy's facilities and curriculum. Though he had been an engineering officer for his entire career, Lee accepted position the of lieutenant colonel of the 2nd US Cavalry in 1855. Serving under Colonel Albert Sidney Johnston, Lee worked to protect settlers from Native American attacks. Lee disliked service on the frontier as it separated him from his family. In 1857, Lee was named one of the executors of his father-in-law's, George Washington Parke Custis, estate in Arlington, VA. Though initially hoping to hire an overseer to handle the plantation's operations and settle the terms of the will, Lee was ultimately forced to take a two-year leave from the US Army. Though the will stipulated that the slaves were to be freed within five years after Custis' death, Lee used the time to have them work the plantation with the goal of settling its debts rather than immediately granting manumission. The Arlington slaves were not freed until December 29, 1862. In October 1859, Lee was tasked with capturing John Brown who had raided the arsenal at Harpers Ferry. Leading a detachment of US Marines, Lee accomplished the mission and seized the radical abolitionist. With the situation in Arlington under control, Lee returned to Texas. While there, Abraham Lincoln was elected president and the Secession Crisis began. In the wake of Texas' secession in February 1861, Lee returned to Washington. Promoted to colonel in March, he was given command of the 1st US Cavalry. A favorite of Scott, who was serving as general-in-chief, Lee was selected for a senior command in the rapidly expanding army. Though he initially ridiculed the Confederacy, believing it betrayal of the Founding Fathers, he stated that he would never be able to take arms against his native Virginia. On April 18, with Virginia's secession looming, he declined Scott's offer of promotion to major general and resigned two days later. Returning home, he was quickly appointed to command Virginia's state forces. With the formation of the Confederate Army, Lee was named one of the original five full generals. Initially assigned to western Virginia, Lee was defeated at Cheat Mountain in September. Blamed for Confederate failures in the region, he was dispatched to the Carolinas and Georgia to oversee the building of coastal defenses. Unable to block Union efforts in the region due to a lack of naval forces, Lee returned to Richmond to serve as a military aide to President Jefferson Davis. While in this post, he was dubbed the "King of Spades" for ordering the construction of massive earthworks around the city. Lee returned to the field on May 31, 1862, when General Joseph E. Johnston was wounded at Seven Pines. Assuming leadership of the Army of Northern Virginia, Lee was initially derided for a supposed timid command style and was referred to as "Granny Lee." Aided by gifted subordinates such as Major Generals Thomas "Stonewall" Jackson and James Longstreet, Lee began the Seven Days Battles on June 25 and effectively defeated Union Major General George B. McClellan's offensive. With McClellan neutralized, Lee moved north in August and routed Union forces at the Second Battle of Manassas on August 28-30. With Union forces in disarray, Lee began planning to invade Maryland. Having proved an effective and aggressive field commander, Lee's Maryland Campaign was compromised by the capture of a copy of his plans by Union forces. Forced back at South Mountain, he was nearly crushed at Antietam on September 17, but was spared by McClellan's over-cautious approach. Permitted to escape back to Virginia due to McClellan's inactivity, Lee's army next saw action in December at the Battle of Fredericksburg. Occupying heights west of the town, Lee's men bloodily repulsed several frontal assaults by Major General Ambrose Burnside's men. With the resumption of campaigning in 1863, Union forces attempted to move around Lee's flank at Fredericksburg. Though caught short-handed as Longstreet's corps was away, Lee won his most stunning victory at the Battle of Chancellorsville on May 1-6. In the fighting, Jackson was mortally wounded which necessitated a change in the army's command structure. Rejoined by Longstreet, Lee again moved north. Entering Pennsylvania, he hoped to win a victory that would shatter Northern morale. Clashing with the General George G. Meade's Army of the Potomac at Gettysburg on July 1-3, Lee was beaten and forced to retreat. In the wake of Gettysburg, Lee offered to resign by was refused by Davis. The South's foremost commander, Lee was faced with a new opponent in 1864 in the form of Lieutenant General Ulysses S. Grant. The Union's preeminent general, Grant had won a series of key victories in the West and sought to use the North's manpower and manufacturing superiority to crush Lee. Aware of the Confederacy's manpower shortages, Grant began a grinding campaign in May designed to wear down Lee's army and pin it against Richmond. Despite bloody tactical draws at Wilderness and Spotsylvania, Grant kept pressing south. Though unable to halt Grant's relentless advance, Lee won a defensive victory at Cold Harbor in early June. Bloodied, Grant pressed on and succeeded in crossing the James River with the goal of taking the vital railroad hub Petersburg. Reaching the city first, Lee dug in beginning the siege of Petersburg. Over the next nine months the two armies battled around the city as Grant continuously extended his lines west stringing out Lee's smaller force. Hoping to break the stalemate, Lee dispatched Lieutenant General Jubal Early to the Shenandoah Valley. Though he briefly threatened Washington, Early was ultimately defeated by Major General Philip H. Sheridan. On January 31, Lee was named general-in-chief of Confederate forces and tasked with reviving the nation's military fortunes. In this role he endorsed the arming of slaves to help alleviate manpower issues. With the situation at Petersburg deteriorating due to a lack of supplies and desertions, Lee attempted to break through the Union lines on March 25, 1865. After some initial success the attack was contained and thrown back by Grant's troops. In the wake of Union success at Five Forks on April 1, Grant launched a massive attack on Petersburg the next day. Compelled to retreat, Lee was forced to abandon Richmond. Vigorously pursued west by Union forces, Lee hoped to link up with Johnston's men in North Carolina. Prevented from doing so and with his options eliminated, Lee was forced to surrender to Grant at Appomattox Court House on April 9. Given generous terms by Grant, Lee's war came to an end. Unable to return to Arlington as the house had been taken by Union forces, Lee moved into a rented home in Richmond. With the war over, Lee became the president of Washington College in Lexington, VA on October 2, 1865. Working to modernize the school, now Washington & Lee, he also instituted its honor code. A figure of immense prestige in both the North and South, Lee publically advocated a spirit of reconciliation arguing that it would further the interests of Southerners more than continued hatred. Plagued by heart issues during the war, Lee suffered a stroke on September 28, 1870. Contracting pneumonia in its aftermath, he died on October 12 and was buried in the college's Lee Chapel.